When past failures starve our dreams of what we want to achieve or wrong motivations steer us off course, what is the way forward? What does the Bible say about our goals and how can our ambitions be put to work in the way God intends? Why does the Bible address things like sexual ethics? What is the connection between what we believe about God and the way behave toward others in areas like this? In 1 Thessalonians 4:1-8 we explore how knowing God's design for the way we live our lives leads to true freedom and flourishing. In prayer, we discover more deeply who God is, who we are, and how God changes us. But what exactly is prayer? And how do we integrate prayer into our everyday lives? In 1 Thessalonians 3:9-13 we examine the example of the Apostle Paul’s prayer for his friends and what it means for us. We live in a world where authentic friendship and community seem hard to find, and even harder to maintain. How can we cultivate friendships that are trustworthy and true? And what keeps them from becoming transient or even toxic? 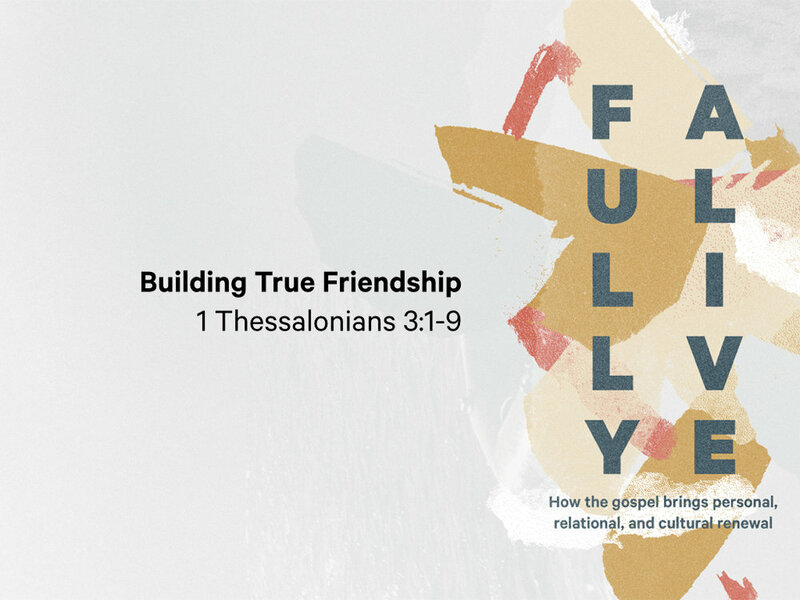 In 1 Thessalonians 3:1-9 we see how faith transforms our idea of friendship and our very lives in the process. When trouble comes to our lives, where can we find the strength to endure it? More than that, how can we face difficulty in a way that doesn't destroy us but transforms us? We continue our series through 1 Thessalonians and discover how the gospel actually creates resilient people.